Triple amputee veteran Brian Kolfage and host Jennifer Lawrence speak to Brandon Darby about the US southern border. WASHINGTON--(BUSINESS WIRE)--World Series Hero Curt Schilling and Border and Cartel Expert Brandon Darby Join the Team that is Using Private Funds to Build Segments of the US southern Border Wall on Private Property. The organization formed by triple-amputee Iraq War Veteran Brian Kolfage after his GoFundMe campaign raised more than twenty million dollars announced that Curt Schilling and Brandon Darby had joined the team to build the wall. Three-time Baseball World Champion and six-time all-star Curt Schilling will join WeBuildTheWall Inc.'s Advisory Board. "I was an early donor to Brian's Border Wall GoFundMe," Schilling said. "People coming together to get things done when our politicians fail is a cherished American past time. As President Reagan said, if not us, then who. If not now, then when." As a co-founder and director of Breitbart's Border and Cartel Chronicles projects, Brandon Darby is one of the nation's leading experts on all issues relating to the border. He has traveled the U.S.-Mexico border each month for nearly eight years and routinely enters Mexico's cartel-controlled regions to meet with journalists and sources -- giving him unprecedented insight into what's occurring on both sides of the border. Darby’s participation with WeBuildTheWall is independent of his role with Breitbart. "I am pleased to offer analysis and advice that is evidence-based and recognizes the complexity of border security. There are dynamic variables with both the issue and the solutions," said Darby. He added, "Physical barriers in targeted areas are one vital part of the required multi-tiered solution to securing our southern border but we must also address the Mexico-based transnational criminal groups that will ultimately have to be eradicated if we want lasting peace and security in the region. There is a strong humanitarian argument for border security and I welcome another opportunity to make that argument." 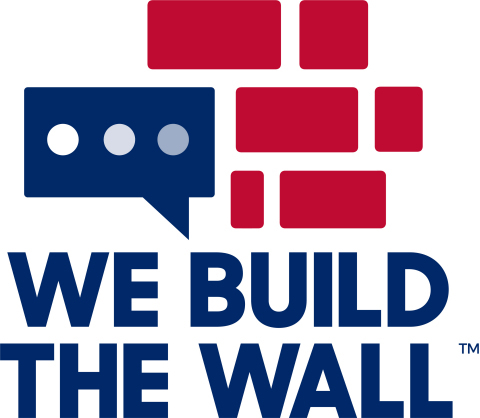 More information about WeBuildTheWall Inc. can be found at www.webuildthewall.us and www.gofundme.com/thetrumpwall. We Build the Wall Inc.